Ivanka Trump attended a panel discussion on the second day of the G-20 summit in Hamburg, Germany. The United States is a democracy, where formal power is conferred by the people, not by one’s family. Qualifications and experience, and not bloodlines, are the qualities that supposedly matter in White House appointments. Those core notions have been trespassed against before — in one famous instance of nepotism, John F. Kennedy made his brother Robert attorney general — but seldom to the degree the country is witnessing under President Donald Trump. His inclination to give close relatives instrumental roles reflects a notion of a family, rather than an individual, in power. In that regard, it’s reminiscent of the way that third-world strongmen run their governments. 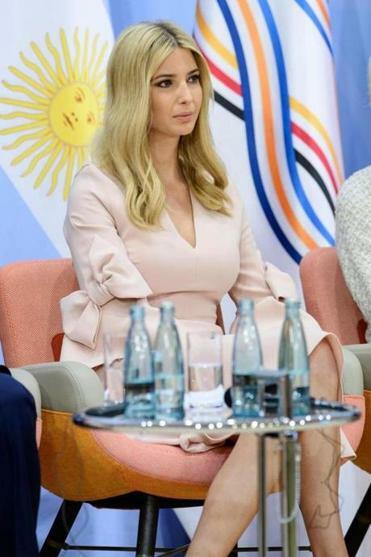 That came into particular focus this past weekend, when first daughter Ivanka Trump on several occasions sat in for her father at a meeting of G-20 leaders. Thus the 35-year-old fashion businesswoman and socialite was at the table representing the United States in a confab that included Germany’s Angela Merkel, Britain’s Theresa May, China’s Xi Jinping, Russia’s Vladimir Putin, and Turkey’s Recep Tayyip Erdogan. Visually jarring as that was, Ivanka and husband Jared Kushner also joined the president during his personal meeting with Merkel. Kushner, of course, is another family member Trump has installed in his inner circle — and imbued with considerable power. Among Kushner’s many charges is bringing peace to the Middle East, acting as a point of contact with China, and leading efforts to make the US government operate more like a business. Any of those tasks would be an oversized portfolio for a young fellow whose principal qualification for White House service has been successfully courting Ivanka. 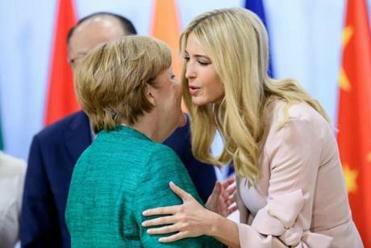 Ivanka Trump found herself thrust into a diplomatic scandal over the weekend after filling in for her father at the Group of 20 summit. The danger of turning one’s political quest into a family enterprise also came into focus with the news that, during the campaign, Donald Trump Jr. enlisted then-campaign chairman Paul Manafort as well as Kushner as fellow attendees at a meeting with well-connected Russian lawyer Natalia Veselnitskaya. Trump Jr. agreed to that meeting in the hope of obtaining damaging information about Hillary Clinton. But Team Trump has responded to the news exactly as you’d expect. Although it contradicts the administration’s past claims that there was no contact between Trump associates and Russians, Donald Jr. has scornfully dismissed it all as much ado about nothing. Kellyanne Conway of course attacked the media for focusing on it. Here, Trump’s motives may be twofold. First, to water perennial GOP grievances over a perceived media double standard. Second, to subtly put in play the idea that Ivanka, like Chelsea, should be viewed as a first child with a promising political future. In fact, neither Ivanka nor Chelsea should be seen as future political stars until they have accomplished something substantial on their own, outside their parents’ sphere of influence. More to the point, Trump should staff his government with qualified, knowledgeable, experienced people. Turning important White House roles over to bumbling naifs whose only reason for being there is familial ties is a recipe for mediocrity. It’s not the way the country that once led the world should be run.